When we write, we formulate our thoughts on new concepts, ideas, and the world around us—which is one reason students should be writing every day, and in every subject. Low-pressure writing tasks are wonderful for allowing students space to formulate their thoughts and ideas. Teachers often use an abundance of low-stakes writing assignments in the first few weeks of school to get students comfortable and to learn about who they are as students, and as people. But a few months into the school year, particularly in middle school and high school classrooms, we tend to cut down on those journal jots or quick writes. The larger writing assignments—those processed, written, revised over time, and graded—take front and center. But I’d like to argue that this instructional decision can hinder our student writers. What is meant by low stakes here is that this writing is typically not graded and is around a half page to a page. This kind of task can be done in just a single sitting, or a couple of days. But it’s important to note that low-stakes writing can be cognitively demanding. That journal jot or quick write is not to be dismissed as inconsequential or frivolous—students are often required to infer, critique, argue, make connections, or analyze. The following are a few worthwhile prompts I’ve picked up in classrooms of different grade levels and academic subjects. Respond to this famous quote. Agree or disagree. Also make connections from your life—something you’ve read or observed, or something happening in the world. Hypothesize: What if you were in the same situation as the protagonist in the story [or a historical figure, or politician, or classmate]? What would you do differently? Why? View this artwork or photo. What stands out about it? Why do you think it is so well-known—what makes it famous? What is the message or feeling you get from the image? What is your life’s motto and why? Low-pressure writing assignments, given frequently and routinely, matter just as much as that assigned argumentative essay or social science research paper. Low-stakes writing builds confidence. Struggling writers can jot down their thoughts about a question or idea posed, share those thoughts, and feel just as successful as everyone else in the room. It fosters language fluency. Younger students and English learners growing their vocabulary can practice new words and phrases in a safe, low-pressure way. It increases writing stamina. We want our students to write better, yes, but we also want them to be able to write more. This is an important skill to develop, and it takes practice. It helps develop the writer’s voice. Students might not want to risk being funny or emotional in an essay, but will take a chance in a low-stakes situation. It helps students continue to grow classroom community. Sharing what they wrote with a partner or in a small group bonds and connects students. Additionally, a low-stakes writing assignment can serve as a powerful entry point for a lesson, learning segment, or unit of study. Students write and share with a partner, and then a whole class discussion follows. Going to start reading Romeo and Juliet in that ninth-grade language arts class? How about first asking your students to fire write for three straight minutes about the question: What is love? A blunder we make as teachers is having our students write a processed paper over many days or even weeks in isolation and then expecting them to turn it over to peers for feedback or to present it in front of class. This can be stressful for a struggling writer or introverted student. 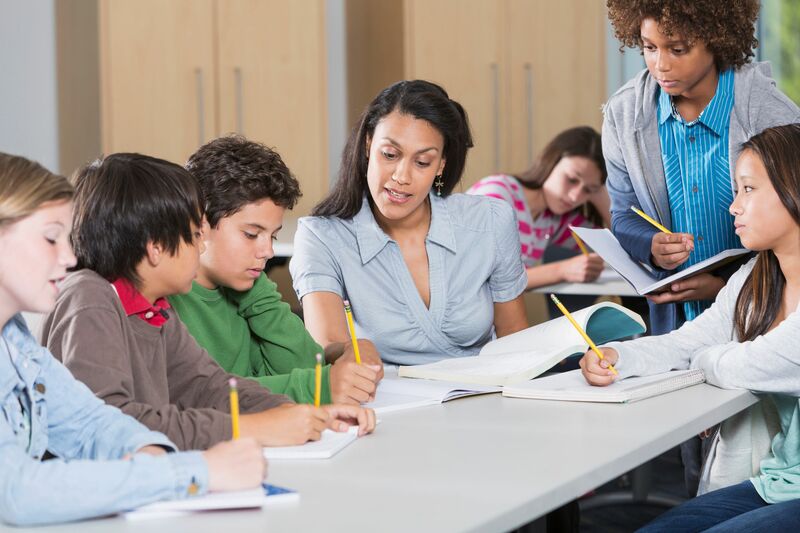 Having your students routinely share their lower-stakes, single-sitting writing with a partner or small group helps them gain confidence for sharing higher-stakes writing—those reports, speeches, and essays—later. Low-stakes writing often gets low priority in the classroom because we feel we don’t have enough time for it or deem it unimportant—especially in upper primary and secondary grades. Add to that list fear: Teachers are sometimes concerned that their use of smaller writing assignments will be judged by colleagues or called out by an administrator as not being a rigorous enough writing regime. In sum, the inclusion of writing over shorter time frames in the standard validates and supports those journal jots, fire writes, quick writes—however you and your students refer to your low-pressure classroom writing tasks.